The site that takes you back to the events, images, and happenings of the early nineties. 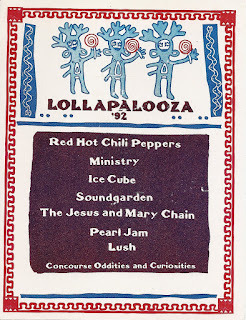 Lollapalooza started in 1991 when Perry Farrell conceived of the idea as a farewell tour of his band Jane's Addiction. This became a touring festival in the United States and Canada from 1991- 1997. The original lineup included a diverse range of artists but the following years featured mainly grunge bands due to the musics rising popularity. In addition to the music performances, there was also non-musical features and displays such as virtual reality games, art booths, and information tables for environmental and political groups promoting counter culture. Critics soon, however, pointed out the corporate encroachment on the concert and the heavy ticket prices, as well as having mainstream acts. Later, in the decade, the popularity of the venue fizzled as alternative rock's popularity died down. In 1998, the festival was cancelled. 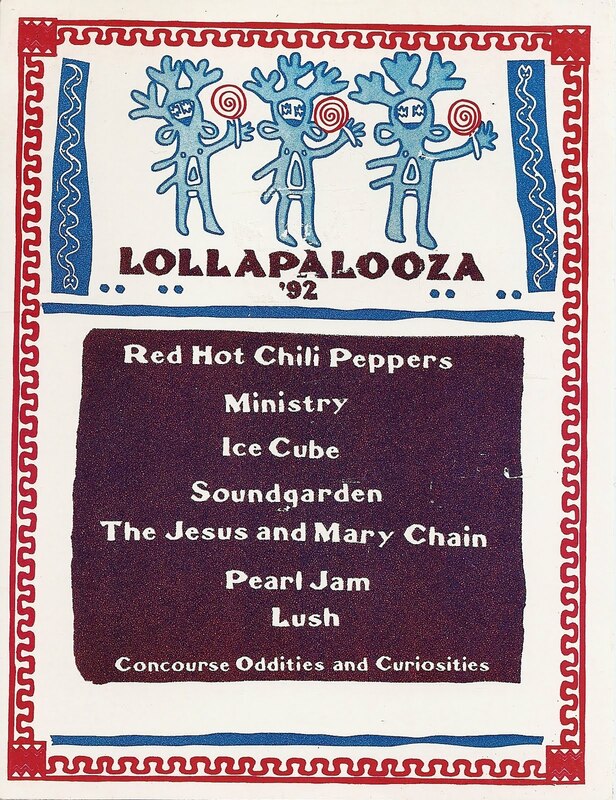 In 2003, Farrell relaunched the Lollapalooza tour with his reunited band. However, this festival achieved only marginal success and was cancelled the following year. In 2005, Farrell in collaboration with Capital Sports and Entertainment launched it as a two day destination festival in Chicago, Illinois. This was successful and the current format is going strong today, in fact, the festival is going on this weekend in Chicago.